Google’s RankBrain Revealed! What’s it Mean for You and Your Small Biz? When Bloomberg broke the news Oct. 26, 2015, it caused quite a stir. The news that Google, the most popular search engine in the world, was using RankBrain, an artificial intelligence (AI) system, to deliver more effective search results, shocked everyone. Google’s longtime support for AI was no surprise. Neither was the fact that Google was working on a way to use AI to refine search engine listings. But the announcement that a large fraction of the millions of search queries had been handled by an AI system nicknamed RankBrain for several months before the news broke shook the business and tech worlds. 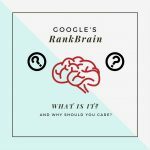 Exactly what is RankBrain and what does it mean for SEO and your small business? Let’s find out. Is RankBrain Out to Destroy the World? The year was 1983. The film was “WarGames.” A bored high school computer nerd named David hacks into what he thinks is a gaming computer. David initiates a round of “Global Thermonuclear War.” Sounds fun, right? It would have been except that the computer he hacked into was not a gaming computer, but an AI system known as Joshua. Joshua is actually part of the Air Force secret war response system and David’s little game becomes a real-life contest where the fate of the world is at stake. How does David stop the world’s destruction? By “teaching” Joshua the only way to win the game is by not playing at all. The film was fiction, of course, but the AI system concept and the ability to learn is what RankBrain AI is about. Google’s goal is to serve accurate results without fluff and/or spam. The problems with accurate results are both language- and human-based. Language constantly changes and is full of exceptions to each rule. Rules-based approaches don’t work efficiently. Add the language variables to the human factor, where a search for the same object can be asked for in countless ways, and you have a real challenge. The beauty of RankBrain is that it learns how humans express themselves and serves more relevant results each time. A recent Stone Temple study compared search engine results before and after the implementation of RankBrain. Overall, 54.6 percent of queries that returned unrelated results before implementation, returned correct results after RankBrain implementation. Quite impressive. Another query, “Why are PDFs so weak?” served results about the security of PDF files. RankBrain handles misspellings, such as “Cutter” for the country “Qatar,” much better than the old version of Google search. RankBrain handles specific types of phrases better. For example, the older Google search process ignored words, such as “the,” “and” and “is.” Often, however, these words are an integral part of the phrase. RankBrain handles searches better where an article or ignored word is an important element in a search. 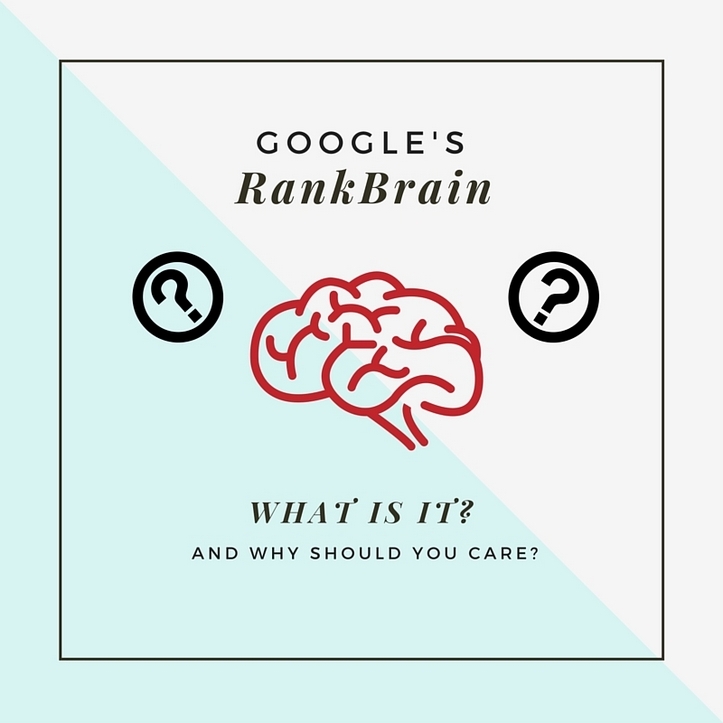 What’s RankBrain Mean for Your Small Biz SEO Plan? Historically, changing Google algorithms have had unexpected results. Websites that indexed well before a change dropped to Page 25 after. RankBrain SEO effects are more subtle, however. One reason is that RankBrain is not a new algorithm. It’s not a standalone or new type of search engine. It’s simply an added ranking signal mechanism. As the third most important signal in determining page rank, however, it is a process that improves search results, has the ability to update itself and develop without human intervention. RankBrain excels at analyzing difficult, ambiguous and unrefined queries and serving accurate results. As time goes on, the already impressive results will only get better. What’s that mean for your small business SEO campaign? Right now, not much. If your SEO strategies include writing engaging content with important keywords, frequently adding quality content and staying on top of algorithm changes, you’re already doing what you have to. For now. OK, maybe RankBrain will take over the world. The search world, that is.